Sung at scarcely above a whisper, this tune is intimate and passionate. Perhaps the most memorable line is, “Come away with me, and I’ll never stop loving you.” This seems like a perfect mantra by which to begin a marriage. This quirky, metaphorical melody is suitable for those couples who prefer to take the road less traveled. With the lines, “Oh, adhere to me, for we are bound by symmetry, and whatever differences our lives have been we together make a limb” this tune paints a picture of two coming together to make one. Sentimental and sweet, this song may even bring tears to your eyes. A piano melody is played throughout, and the line, “And I know that I am, I am, I am the luckiest” serves as the chorus. 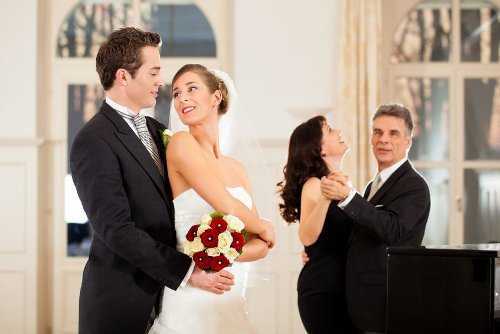 Select one of the songs here to make your wedding reception a unique, personal experience. For more ideas for alternative wedding songs, explore music by artists such as Cat Power, The Yeah Yeah Yeahs, The Shins, or Wilco.